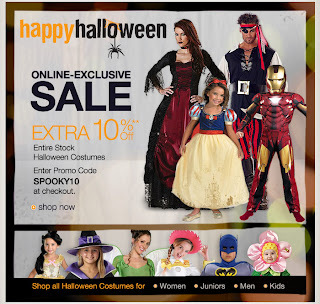 You can shop at KOHL's for extra Halloween savings. To receive the extra 10% off your halloween selections;use the code SPOOKY10 when you checkout. KOHL's is also having a gold star clearance sale where you can save 60-70% on other items. Additionally, there are final clearance sale items up to 80% 0ff. If you're planning on, or end up, spending $75.00 or more, make sure to use the code USAVE for free shipping.